Global Opportunities for Christ (GOFC) was started in 1996 and incorporated in the Commonwealth of Virginia. We are a registered 501 (c) (3) non-profit organization. We serve as advocates for effective, indigenous ministries overseas and advisors for those who want to be good stewards of their resources and invest in well-vetted kingdom initiatives. For 20 years Global Opportunities has been researching ministries overseas and building relationships with key ministry leaders. We assess their work and then identify specific projects to present to the funding community that we believe will result in strategic and fruitful investments for the kingdom of God. We also follow up on the gifts that have been distributed to ensure that they are used for their intended purposes. Through trips to the field and visits by field surveyors, we gain a greater understanding of the vision and needs of our ministry partners and find new kingdom investment opportunities. We want to “return the blessing” to those who give through Global Opportunities by providing reports and pictures that will help keep them informed about ministry activities and know how to pray. 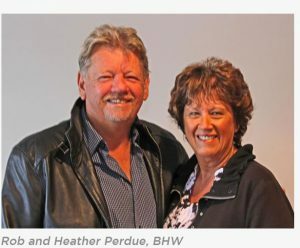 In 2016 Global Opportunities formed a partnership with Bright Hope World (BHW) of New Zealand (www.Brighthopeworld.com) with whom we have had a longstanding relationship and shared history since the beginning of our ministry. Through this partnership we are expanding our portfolio of vetted ministry projects for our resource partners. 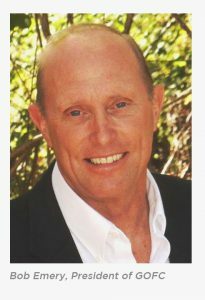 Rob Purdue, founder of Bright Hope World in 1992, has been a valued friend and board member of GOFC since our inception. The two organizations have frequently engaged in conversations over the years about doing more to work together. Global Opportunities’ relationships and partnerships have been with indigenous ministries located primarily in the former Soviet Union, South East Asia, Nepal, the Muslim nations of the Middle East, and North Korea. Evangelism, church planting, leadership development, helping the poor and highly leveraged media projects that are reaching millions of people in the Muslim world, in multiple languages, people groups, and countries through Christian Satellite TV, the Internet, and social media, are at the core of the projects supported by GOFC. Bright Hope World, like Global Opportunities, works with indigenous visionaries to reach the lost for Christ, make disciples, assist the poor and the oppressed, and alleviate poverty. They have partnerships in more than 20 countries that focus primarily on reaching the poorest of the poor in Africa, India, and Eastern Europe, directly impacting over 5,000 families, with over 3,000 orphaned and vulnerable children being cared for and educated. Through this partnership with BHW, Global Opportunities for Christ now represents more than a hundred years of field intelligence and mission work, has additional administrative backup, and a more diverse and expanded portfolio of partnerships and opportunities to offer our resource partners. In addition to this, our commitment to you is to act as wise stewards of the resources you entrust to us, to keep costs down so as to maximize the funding that gets to the field, and to make every effort to serve you in your giving needs.